with all four wheels on the ties. The outer curved rail takes most of the pressure. 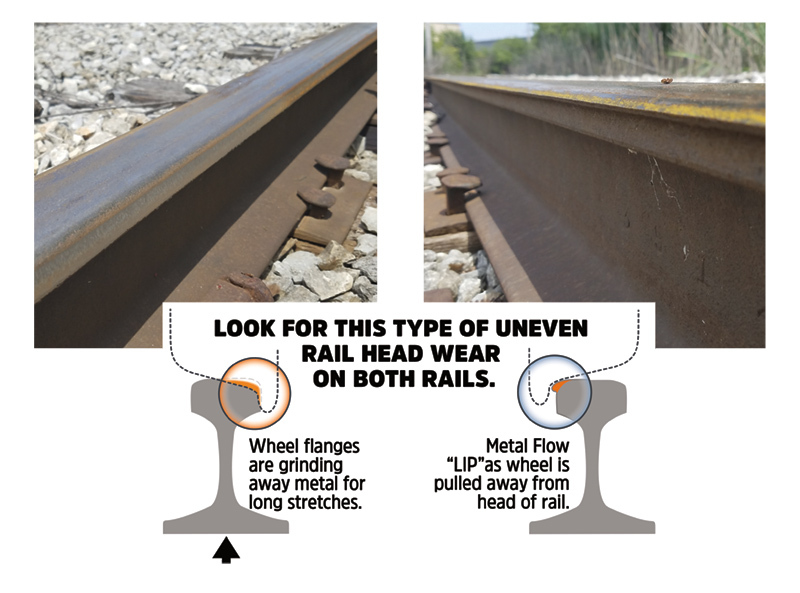 In industrial rail yards, curved track is vulnerable to widening gauge, due to the wheel side pressure of the passing trains. The tighter the curve the more pressure against the outer rail. Wheel flanges plane away metal on the gauge face of the rail, and spikes begin to lose their grip. At some point, the rail gives way. 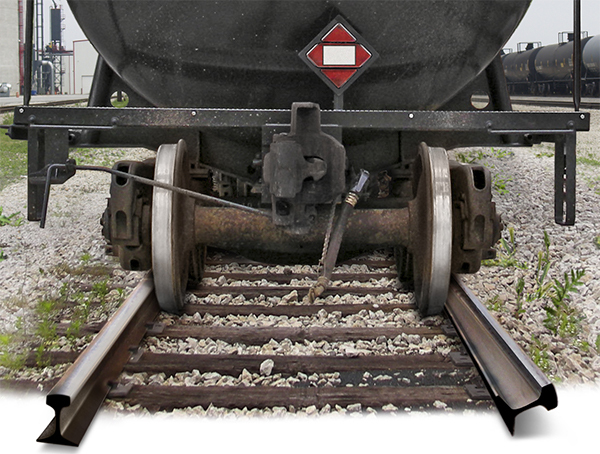 If you have sound ties, you can help prevent over-wide gauge in curved track. Aldon RAIL KICKER braces the head of the rail, where support is most needed. 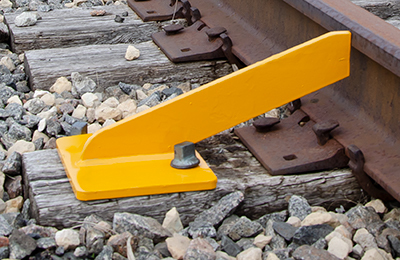 Install RAIL KICKER on every 3rd or 4th tie to brace rail that shows excessive gauge face wear. How to Order: Rail Kicker is sized to fit your rail height. 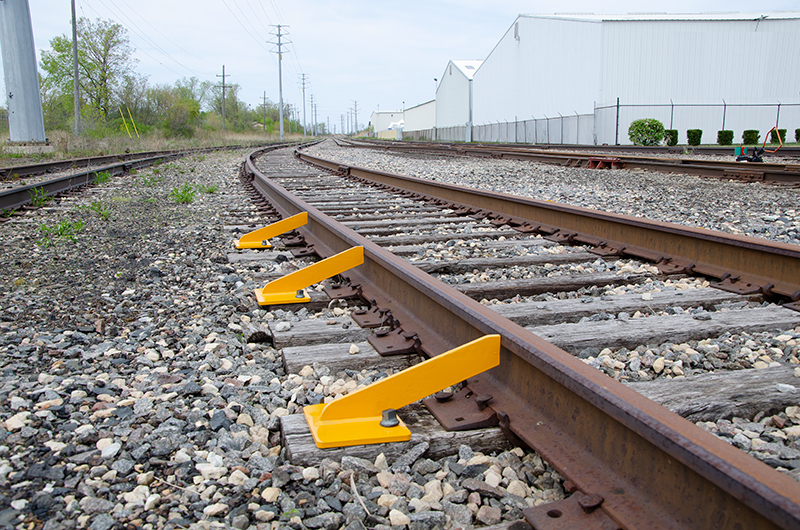 Please measure your rail height according to the Sizing Form (click here) and return the form to us. Base is 8" square, overall length is 17"